Martin Bloom is the head of the Employment Law Department and a partner at Hegarty Solicitors – and we are delighted to have him join us as a guest blogger for Anne Corder Recruitment. 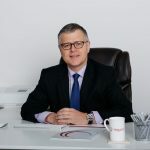 Martin’s expertise proves invaluable to HR experts and employers at our annual seminars, held in partnership with Hegarty Solicitors, and at our regular Lunch & Learn sessions – so we are sure you will find his blogs just as insightful! 1 in 4 of the population will experience mental ill health at some point in their lives. It is obvious therefore that a significant amount of employees will suffer from such a condition and that employers should be aware of and be prepared to address mental health issues in the workplace. Stress related illnesses are a major cause of long term absences from work and stress or any other form of metal ill health can affect any employee at any level. Stress – when does it become a problem? Stress can be defined as “the adverse reaction people have to excessive pressures or other types of demand placed upon them”. People react to situations in different ways and what may be a stressful situation to one person is not regarded as stressful by another. Likewise people react to stress in different ways; some may find stress motivating, while others are debilitated. There can be many causes of stress in the workplace, from too much work or responsibility to too little work or responsibility. Problems with colleagues or clients can also cause stress, as well as pressure to meet deadlines or targets. Stress may also be caused be issues outside of the workplace, such as marital breakdown, financial issues or bereavement. How can absences be managed? If absences occur as a result of mental ill health, employers should have a plan for managing these absences from work. It should be agreed with the employee when and how regular contact will be maintained, including the best place to meet an employee. Employers should be positive, supportive and professional and agree with the employee what information should be disclosed to colleagues. It is important not to pressure the employee to return early and employers may want to consider a phased return to work. Occupational health and the views of the employee’s own doctor or consultant should be considered. The Health and Safety at Work Act sets out employers’ duties to ensure the health, safety and welfare of all employees. It sets out rules that employers must abide by to ensure that the workplace is safe and those who work there are not in any danger both physically and mentally. It is a criminal offence to fail to comply with these duties. And last, but not least, from the employee themselves!